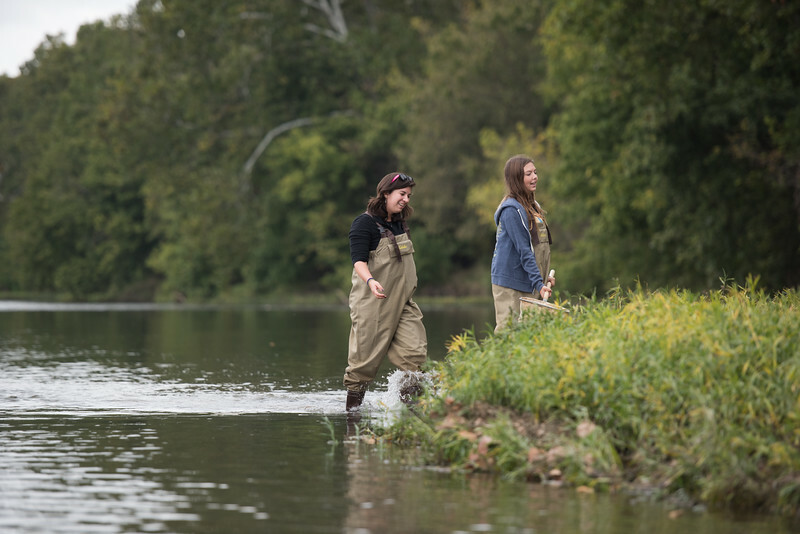 Smithsonian-Mason Semester for Conservation Studies creates an undergraduate curricula that covers conservation biology within the social, economic, and political context with emphasis on problem solving, critical thinking and hands-on learning. Smithsonian-Mason Semester students collect water samples to analyze chemical water quality and assess benthic invertebrates to characterize the health of the ecosystem from the Chesapeake Bay watershed to the headwaters in Shenandoah National Park. Photo by Evan Cantwell/Creative Services/George Mason University.